Beyond classic cinema, that line applies to all of us. We’ll always have Paris. Specifically, the French capital on December 12, 2015, when parties to the United Nations Framework Convention on Climate Change reached a landmark agreement to combat climate change while accelerating actions and investments needed for a sustainable low carbon future. 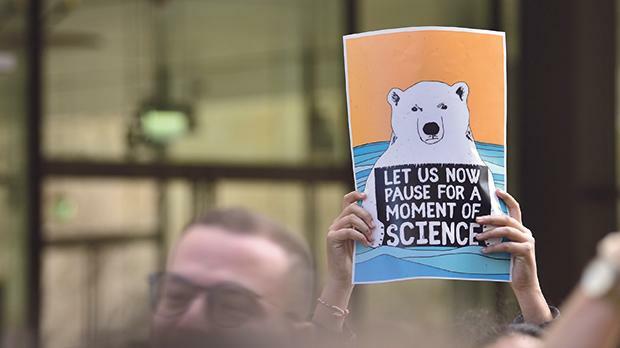 The Paris Agreement was historic as for the first time, it brought all nations into a common cause to undertake ambitious efforts to combat climate change and adapt to its effects. The key aspects of the Agreement include: limiting global temperature increase to well below two degrees Celsius; reaching global peaking of greenhouse gas emissions as soon as possible; binding commitments by all parties to prepare, communicate and maintain a nationally determined contribution and pursue domestic measures to achieve them; and strengthening resilience and reducing vulnerability to climate change. The Paris Agreement opened for signature on April 22, 2016 – Earth Day – at the UN Headquarters in New York, the US, and entered into force on November 4, 2016. Since then, various countries have ratified and continue to ratify the Agreement – to date, 185 parties, out of 197, have ratified the Convention. The European Union has long been committed to efforts tackling climate change. It has taken various initiatives since 1991, when it issued the first Community strategy to limit carbon dioxide emissions and improve energy efficiency. A comprehensive package of policy measures to reduce greenhouse gas emissions has been initiated through the European Climate Change Programme – each of the EU member states has also put in place its own domestic actions that build on the ECCP measures or complement them. Last November, the European Commission adopted A Clean Planet for All, a strategic long-term vision for a prosperous, modern, competitive and climate neutral economy by 2050. This strategy – which is in line with the Paris Agreement objective to keep temperature increase to well below two degrees Celsius and pursue efforts to keep it to 1.5 degrees Celsius – shows how Europe can lead the way to climate neutrality by investing in realistic technological solutions, empowering citizens and aligning action in key areas such as industrial policy, finance and research. The purpose of this long-term strategy is not to set targets but to create a vision and sense of direction, plan for it and inspire as well as enable stakeholders, researchers, entrepreneurs and citizens alike to develop new and innovative industries, businesses and associated jobs. The strategy is backed by a strong mandate by EU citizens – Eurobarometer research shows that last November, 93 per cent of Europeans believed climate change to be caused by human activity, while 83 per cent agreed that fighting climate change and using energy efficiently can create economic growth in Europe. Following the launch of this strategy, the European Commission invited the European Council, Parliament, Committee of the Regions and the Economic and Social Committee to consider the EU vision for a climate neutral Europe by 2050. In order to prepare EU Heads of State and Government for shaping the future of Europe at the European Council on May 9, ministers in all relevant Council formations were encouraged to hold extensive policy debates on the contribution of their respective policy areas to the overall vision. Member states were also asked to submit their draft National Climate and Energy Plan to the European Commission. 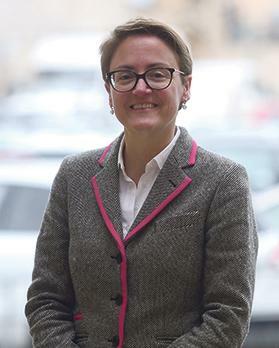 Malta’s plan, which is open for public consultation until April 10, was developed in line with the obligations of Regulation (EU) 2018/1999 of the European Parliament and of the Council on the Governance of the Energy Union and Climate Action. The draft also follows the scope of the Energy Union and covers its five dimensions: energy security, internal energy market, energy efficiency, decarbonization, and research, innovation and competitiveness. Malta has to submit its final plan to the European Commission by the end of December 2019. Within the context of national efforts, the EU will continue to ensure that its energy and climate policies – as well as its research and innovation, investment, industrial policy and social cohesion policies – steadily steer towards the decarbonised future. The Commission has also mainstreamed climate action, including clean energy transition, in its funding programmes and aligns all other policy areas to support the transformation. In research and development, EU programmes must support the drive in zero-carbon technology innovation. In stimulating change in the finance industry, the Commission’s Action Plan on Financing Sustainable Growth will create the framework necessary to support a movement towards green investment, first in the EU but also globally. Socially, to ensure a fair and inclusive transition, the EU will continue to provide support for the development of new opportunities in regions and communities affected by these transformational challenges. The risk of energy poverty will remain an essential challenge to be addressed. The social consequences are generally better addressed through the social policy and welfare systems, the financing of which could benefit from tax shifts and revenue recycling. The transition will also require much stronger awareness, empowerment and encouragement of citizens and consumers. Citizens are increasingly concerned about climate change and its consequences, but they need to be equipped to take informed decisions on the impacts of their mobility and consumption choices – how they travel, how they produce and consume energy and how they build and renovate their houses. Better labelling and information on their environmental footprint can help. Socially fair environmental taxation and carbon pricing systems should also play an important role in steering this transition, the EC notes. Moving towards a net zero greenhouse gas economy can only be successful when citizens embrace change and experience it as beneficial for their lives and those of their children. Transportation has been essential to life, trade and commerce for thousands of years. Yet transportation is repeatedly identified as the primary cause of traffic congestion and parking issues, especially as the local stock of licensed motor vehicles is constantly on the increase. The latest available statistics from the National Statistics Office show how in the third quarter of 2018, the number of licensed vehicles stood at 382,605. During the same quarter, the stock of licensed vehicles increased at a net average of 36 vehicles per day. Within the context of the quality of life that is associated with traffic jams, productivity issues related to lost time commuting, and pollution – also in view of the 2020 EU emission reduction targets – it’s high time to get up to speed with sustainable transportation. Malta, like all member states, has taken on binding annual targets until 2020 for cutting emissions in different sectors, including transport. The package – which differs according to national wealth, from a 20 per cent cut for the richest countries to a maximum 20 per cent increase for the least wealthy ones – sets three key targets: 20 per cent cut in greenhouse gas emissions (from 1990 levels); 20 per cent of EU energy from renewables; and 20 per cent improvement in energy efficiency. The European Commission monitors progress every year, with each country required to report its emissions. Since 2013, Malta has missed its annual targets – according to a 2018 European Environment Agency report, entitled Trends and Projections in Europe, Malta’s emission levels are set to remain constant until 2020 under existing measures, missing its final targets. Moreover, Malta registered the largest emissions increase, mainly due to higher electricity production and the reduction of electricity imports. The private sector is also making efforts in the transport sector, with one company introducing a national car-sharing scheme using environmentally friendly vehicles. Specifically for trucks, a provisional agreement has been reached between the EU’s institutions for a Regulation setting, for the first time, a legally binding 30% reduction target in emission standards for trucks. The rule will apply only to new trucks, from 2030. A reduction in emissions targets was also agreed for vehicles and vans. CO₂ emissions from new cars in 2030 will be 37.5 per cent below the targets for 2021 whilst for new vans, the reduction target would be 31 per cent by 2030. As part of the sets of legislative proposals on clean mobility introduced by the Juncker Commission, it is a further stepping stone for modernising the European mobility sector and preparing it for climate neutrality in the second half of the century, the European Commission said. For Prof. Attard, director of the University’s Institute for Climate Change and Sustainable Development, Malta’s transportation system is predominantly road-based, an inherited system of developing roads. “We’re investing heavily in road transportation and private mobility to ensure economic progress,” she said. Economic growth necessitates greater movement of goods and people – this, Prof. Attard said, fuels car dependence. “The common belief is that the only possible way for this growth to be sustained is by continuing to push the private car as the transport mode of choice. The consequence of this is congestion, with the resulting delays – the latter come at huge economic costs. Her concerns are echoed by Steve Zammit Lupi, public relations officer for the Bicycle Advocacy Group. “Government did well to dismantle the Marsa Power Station – but that leaves us with another big polluter, our road vehicles. Of these, 78 per cent are private vehicles, a leading air polluter,” he said, adding how, while locally, there is significant awareness on environmental issues, the choice of alternatives is limited. He further acknowledged the fact that even though there are policies and ideas that the European Commission is pushing, the planning and implementation of road networks is up to the decision of every individual member state. Prof. Attard said the EU did request a transport masterplan from the Maltese government in 2016, which was delivered and positively received. Prof. Attard and Mr Zammit Lupi concur that meeting the targets set by the EU is essential because of legal obligations, but also because Malta’s current transport infrastructure is causing a financial burden, in the form of mounting health and environmental costs. The latest European Health Interview Survey shows how the high number of cars in Malta contributes to an increase in allergies. Research published in the European Heart Journal last week showed that in Malta, 576 people die prematurely ever year of diseases brought on by airborne pollutants. Prof. Attard said we have a list of impacts from our transport infrastructure – among which are road accidents, obesity, an increase in the number of injuries as well as deaths. “We don’t exercise and always park closest to where we have to go. And if we don’t, we grumble because we have to walk,” she added. Our transportation system today is designed around the private vehicle rather than individual mobility. Most would even argue that driving one’s own vehicle is the most practical and comfortable means of transportation. Zammit Lupi argued that it depends on what is understood by ‘comfortable’. 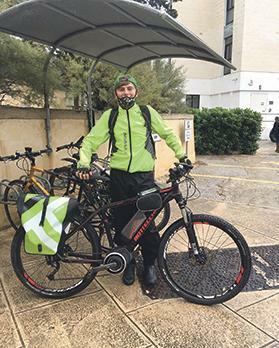 As a keen bicycle commuter himself, Zammit Lupi detailed how the benefits of a green transport system is a win-win for everyone. He said that we tend to waste hours on end in traffic congestions and looking for parking spots. Where cycling is concerned, Malta is lagging when compared to other EU member states. Steve Zammit Lupi said this is caused by focusing on cars, with little or no attention given to other modes of transport. Although there have been attempts to encourage cycling, Zammit Lupi judges these attempts as poor in implementation and lacking political will. Prof. Attard added the car is the least efficient mode of transport because it takes up a lot of space for just one individual. She also related how priority should be given to walkers, cyclists and buses – the latter because they carry the most people – and, lastly, the car. Prof. Attard maintained that we are currently reversing that. The European Parliament enjoys an established history of strong environmental protection and ambitious climate policies. It has called for targets to be maximised and for the EU to play the strongest possible role in international climate talks. 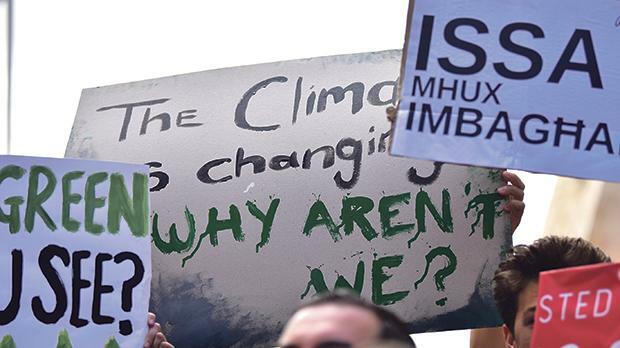 For example, before the United Nations climate change conference that finalised the Paris Agreement in 2015, Parliament adopted a resolution calling for the inclusion of a possible 1.5°C maximum temperature rise in the agreement. Parliament has also consistently pushed for ambitious EU energy efficiency and renewable energy targets, on the basis that they would drive innovation and lead to the creation of high-quality jobs, while making it more likely that climate goals can be achieved. Major NGOs from the Green10 coalition are echoing the importance of having this area at the heart of political parties’ 2019 European elections campaigns. In their adopted manifesto, Green 10 calls on the next European Parliament to regulate to eliminate pollutants, noise and CO₂ missions, in particular by delivering a strategy that makes Europe a world leader in zero-emission and shared transportation powered by clean renewable electricity. The 2020 package is a set of binding legislation to ensure the EU meets its climate and energy targets for the year 2020. The targets – which are headline targets of the Europe 2020 strategy for smart, sustainable and inclusive growth – were set by EU leaders in 2007 and enacted in legislation in 2009. According to a 2018 European Environment Agency report – entitled Trends and Projections in Europe – Malta has missed its annual emissions reduction targets for 2017. Furthermore, Malta had missed its annual targets every year since 2013. This has meant that Malta had to resort to flexibility measures – this takes the form of a bilateral agreement to buy another member state’s extra emissions-reduction points. The European Parliament, next week on Tuesday, will be voting on the proposal for a regulation setting emission performance standards for new passenger cars and new light commercial vehicles, as part of Europe on the Move and Clean Mobility Package.